Home F1 Where is the 2019 McLaren? Where is the 2019 McLaren? He continues the work in Woking after a satisfactory pre-season, although the car of Sainz and Norris still has areas to improve. McLaren finished satisfied his pre-season test with a car that has been born well, without serious reliability problems and with more shooting than in recent years. It was 4,059 kilometers for the Woking team in the two weeks of Montmeló, 50% more than the previous year, the first with Renault. Your MCL34 has achieved good records in one lap with Carlos Sainz (1: 16.9) and Lando Norris (1: 17.0) that keep them in the virtual top-10 of these trainings, although this is not the real position of the car, less for now. As seen in Barcelona, the car has "strong areas" but also weak points: it is somewhat unstable when leaving fast curves, although in that it could influence that they arrived at Montmeló with less aerodynamic load than usual for this circuit, and suffered especially in the third sector, plagued by slow turns. Its top speed has improved when in 2018 it was a ballast, although among the reasons that lower aerodynamic load mentioned above can also be. In terms of reliability, there have been recurring problems with engine-related leaks, some hydraulic failure and also a shock with the gearbox, which was replaced on the third day of the test and which certainly delayed filming. However, have complied with all the tests provided in the roadmap and the race simulations developed in the last days were executed without incidents and with a promising race pace, between 1:23 (most loaded with fuel) and 1:21 The power unit of Renault has progressed with respect to 2018 and has more power, although from the factory do not specify how much. The question is whether Honda has overtaken them, because that would make the French propeller the last on the grid. Therefore, , where is the McLaren? It will depend on where the others are in the GP of Australia. Renault has some advantage in that middle zone as a fourth team, maybe four tenths per lap, his performance in the tests confirm it. Y Haas looks like the cover of the preseason with a very well built car. Follow them, in theory, converge three very different concepts: Alfa Romeo, with inspiration and financial funds from Ferrari; Toro Rosso, inheriting designs from Red Bull with a fast moving Honda engine; and McLaren, with the Woking factory overturned to bring the car closer to the top-5. There are three positions that dance and by a few tenths in the classification of Australia you can go from aspiring to the top-5 to be away from the points. Meanwhile, Racing Point (ex Force India) has finished very short filming in Barcelona, as Williams, and that can directly influence its performance for the first races before the grid is established from the summer. From the impressions arriving from inside the box, there are those who see the McLaren with the capacity to be the 5th or 6th car on the grid throughout the season. The priority of Woking is to reach these positions at the end of the year and, above all, improve during the season, something that did not happen in 2018 because they focused all their efforts on understanding where all their problems came from. In addition, the investment of the team is designed in the medium term: in March James Key joins the new technical director and in May Andreas Seidl will arrive, next director of the team. 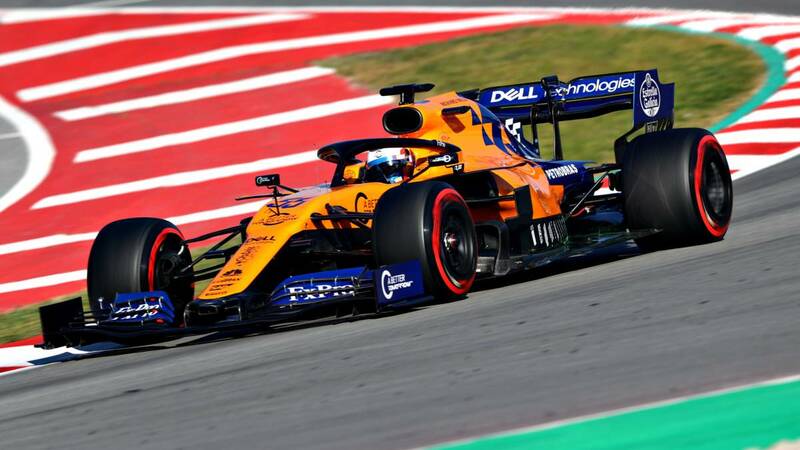 There is no rush at McLaren, although no one gives up anything in 2019 until they see how far the Renault is and how many tenths they decide a compressed Formula 1.